Welcome to my website - if you're in need of a little TLC you've found the right place! Need to relax and de-stress ? Want to nurture your body during pregnancy ? Have fears surrounding conception or childbirth ? Have a sleep disorder ? Wish to learn how to meditate ? Experience minor aches and pains? Feel generally 'out of sorts'? Feel in need of a "Pick me Up" ? Experience panic attacks or fears / phobias ? Experience feelings of hopelessness and negativity ? Wish to learn EFT (Emotional Freedom Technique) for your own self help? 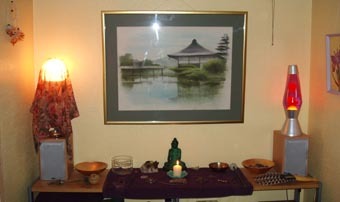 Do you wish to attend a Reiki 1 or Reiki 2 workshop? If your answer to any of these is "Yes" then please see the other pages of my website for a full explanation as to how each of the therapies I offer might help you. Reflexology and Reiki are wonderfully supportive and nurturing during pregnancy and EFT is a powerful yet simple self-help tool for those experiencing any form of emotional distress. I am based in BECKENHAM and am within easy reach of BROMLEY, WEST WICKHAM, CROYDON, PENGE, CRYSTAL PALACE, SYDENHAM, ORPINGTON. and CHISLEHURST. I am a full member of the Association of Reflexologists, an Usui Reiki Master / Teacher, a certified Karuna Reiki ® Master / Teacher and a Practitioner Member of the UK Reiki Federation. I am an experienced therapist working full-time to provide the very best in client care. In addition to the therapies mentioned in my opening paragraph, I am also a trained counsellor and hold diplomas in Metaphysics, so I am able to bring this awareness to every treatment session. I am dedicated to your welfare and the range of therapies I offer ensures a fully integrated approach with therapies being tailored to meet your individual needs. For this reason treatment times are approximate as I focus more on my clients than I do on the clock! * GIFT VOUCHERS * are available at £45 each per treatment or £225 for a course of six treatments (6th treatment FREE) so why not treat someone special? For further information see 'Prices' page. I hold a CRIMINAL RECORDS BUREAU DISCLOSURE (CRB check) enabling me to work with elderly or vulnerable people. 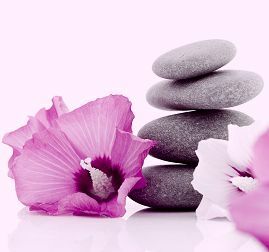 SHOULD YOU HAVE ANY QUERIES REGARDING ANY OF THE THERAPIES I OFFER, PLEASE FEEL FREE TO EMAIL ME AT: [email protected] OR TELEPHONE ME FOR AN INFORMAL CHAT ON 020 8658 8646 . YESTERDAY IS BUT A DREAM, TOMORROW A VISION OF HOPE. LOOK TO TODAY, FOR IT IS LIFE !